The town of Pedasi has been discovered by expats and the secret is out. 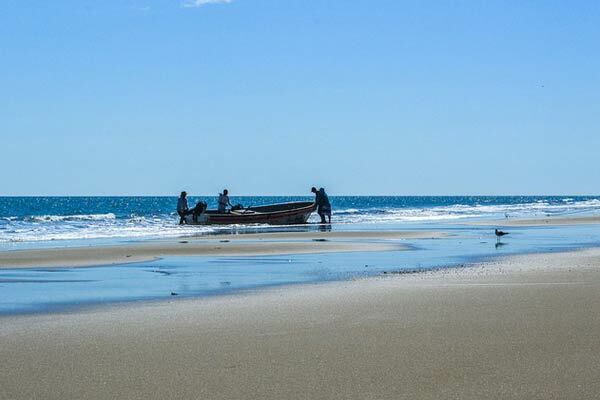 Pedasi is on the tip of the Azuero Peninsula in the province of Los Santos on the Pacific Ocean. It’s a four-hour trip from Panama City—turning off the Pan American Highway heading south the drive takes you through the city of Chitre down to Las Tablas and it’s a further a 45-minute drive to Pedasi. As a small sleepy town with a full-time population of around 2,500, Pedasi is rural living at its best. Surrounded by green pastures and grazing cattle and only a 10-minute drive to the ocean, you will find miles of unspoiled beach and little development. The main source of income here for locals is fishing. Considered the “Tuna Coast” of Panama, the waters are filled with an abundance of fish. Sport fishing has become a pastime here, as you are almost always guaranteed a great days fishing. Another attraction that has been gaining in popularity in recent years is surfing. Surfers worldwide have discovered Playa Venao, a surfing beach only 30 minutes away. In fact, in 2011 and 2012, Playa Venao hosted the World Surfing Championships putting this great surfing destination firmly on the map. Tourists come too to enjoy the beaches and the coral reefs. Isla Iguana island is a local favorite for snorkeling, scuba diving, beachcombing, swimming, and relaxing. Five minutes from town, and El Arenal beach is the jumping off point for the 20-minute boat ride to the wildlife refuge. Panama’s first female president, Mireya Moscoso was born in Pedasi and, made many contributions improving the infrastructure of the town during her time in office. Her efforts have given the locals a sense of pride in their town. The first thing you might notice when you visit Pedasi is how clean the town is, and that the homes are all well-kept and painted in bright colors. Pedasi lies in the “Dry Arch” meaning it is in the driest part of Panama with annual precipitation of only 39 inches. Enjoyable breezes from the ocean keep day time temperatures ranging from 73 to 93 F. Evenings are cool and pleasant. The town has all the necessary amenities for day- to- day living—the Minsa-Capsi hospital in Pedasi offers most services with a variety of specialists—there are a few grocery stores, gas station and even a public library. 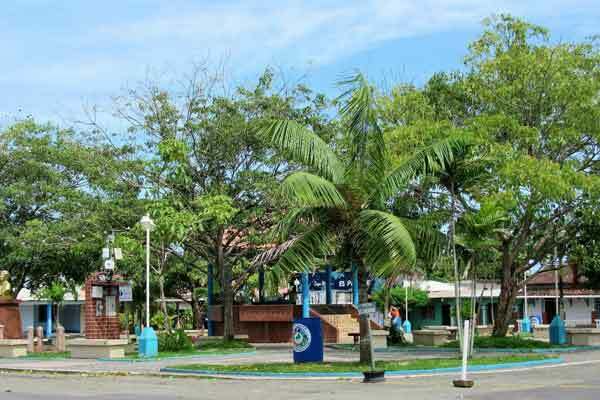 Las Tablas is the nearest city where you can find anything else you might need and it’s only a 45- minute drive away. The safety of Pedasi is one reason why many expats move here. In Pedasi, there is little to no petty crime of any kind because it is not tolerated. Locals and expats all look out for each other, and locals welcome expats and expat businesses. There are now about 200 expats who live in the Pedasi area. These expats are a mix of people from around the world. As the charm of Pedasi is resonating with more families and retirees, such as North Americans, looking for a simpler life, the expat population is growing. The rural feel of the town may not be for everyone, but resident expats love it. Pedasi is a wonderful place to live for ocean lovers. Scuba, snorkel, windsurfing, and deep-sea fishing are just some of the things you can find to do here. The lifestyle is laidback, with locals and expats frequently mixing to enjoy holidays and special events, and expats try to get to know their Panama neighbors and make new friends. Pedasi also has a variety of great restaurants which are open year-round. The expat-owned Smiley’s restaurant, (expat owned) is a local hang out where the expats gather to socialize and sometimes enjoy a night of bingo. There are also plenty of volunteering opportunities in Pedasi, with several volunteer organizations where you can put your skills to work to help the locals. If you want to get a city fix and enjoy shopping, Las Tablas and Chitre are just under an hour away. So, what does a typical lazy day look like here? The day might start with a cup of great Panama coffee and a pastry at a local bakery, followed by a bike ride to the beach and a long walk, siesta with cool breezes in the afternoon, and lively conversation with friends at one of the local hot spot restaurants in the evening. There are several affordable areas in and around Pedasi. With an increasing number of expats moving to Pedasi, new construction of homes is on the increase. Most of the towns neighborhoods consist of typical Panama homes close to the town center. A typical two2-bedroom, two2-bathroom home starts at around $135,000. There are also a few upscale developments with homes built to North American standards. Two of these developments, are gated communities with ocean views and large lots and start at $275,000. Many expats in this area prefer to build their own homes since there are several areas where lot prices are relatively low. Rents in Pedasi during high season (December through April) can cost more than $750 a month, as demand drives up the prices. Securing a rental for a lower price, will often require some boots- on- the- ground investigating with the locals. 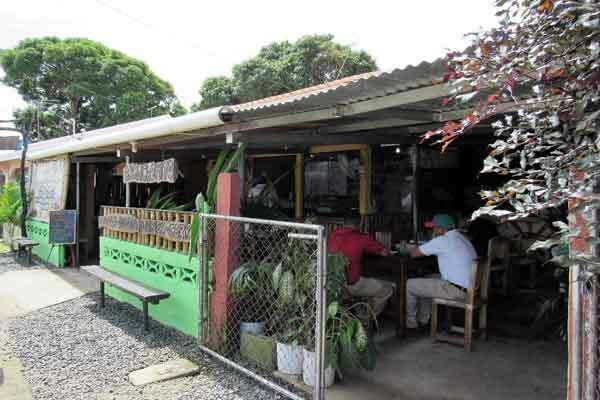 Pedasi does give you the choice of living on a small budget though—by making use of the local fresh produce, freshly caught fish of the day, and eating out at typical Panama fondas (small restaurants) you can live well on less in Pedasi. A local bus ride to Las Tablas for example will only cost you $2.45. A taxi ride to the beach $2.50 to -$3.00. Located five hours by car from Panama City (you can also fly; it’s just under an hour from Panama City in a tiny commercial plane), most days of the year are sunny. Average daytime temperatures are around 88 F, but evenings and mornings can be 10 to 15 degrees cooler, thanks to the ocean breezes. “Since it’s a small town, everybody knows everybody. And everybody is friendly and helpful,” says Connie. Not just the locals, but the expats, too. From their first day, the Mollers were accepted and welcomed. People showed them around, helped them find a rental, and introduced them to other expats. Almost instantly, they were part of a tight-knit group they could count on for help or advice. They rent a house right in the town center. Built in the local style, their home boasts a spacious terrace. It wraps from the front of the home to the back, where they have a small, exuberant garden. It is a deep jungle green, punctuated with slim coral-topped birds-of-paradise flowers. Here the Mollers grow all manner of good things, from aloe to papaya. The Isla Iguana Wildlife Refuge, an island paradise off the coast of Pedasí, boasts five miles of white-sand beaches and one of Panama’s largest coral reefs. Their cell phone bill is about 25% of what it used to be. Their landline costs them just $14 a month. And they no longer shell out $80 every month for cable. In Pedasí, they opted for Netflix—$7.95 a month—over the local satellite plan. Their WiFi is $25 a month. Rentals in Pedasí start at about $500 a month, though you can spend 50% less just 30 minutes away. “Our rent is about half what our house payment was in the U.S.,” they say. And cleaning ladies charge about $15 for a day’s work. Once a month they drive to the hub of Chitre, about 45 minutes away, where large supermarkets are filled with familiar items from back home. Chitre also has shops, hospitals, and movie theaters…virtually anything they could want or need. Five miles off the coast of Pedasí, the Isla Iguana Wildlife Refuge boasts 9 kilometers of white sand beaches and one of the largest coral reefs in the Gulf of Panama. “We chose Pedasí for many reasons, but primarily because we love the ocean,” they add. “The beaches here tend to be uncrowded, unlike those in Southern California, where I grew up,” says Connie. On any given day, you may see a dozen people…or none at all. “The water is warm and usually clear. Hearing and seeing the endless ocean always revitalizes me,” she says. The small picturesque fishing village of Pedasi is located on the tip of the Azuero Peninsula in the province of Los Santos on the Pacific Ocean. 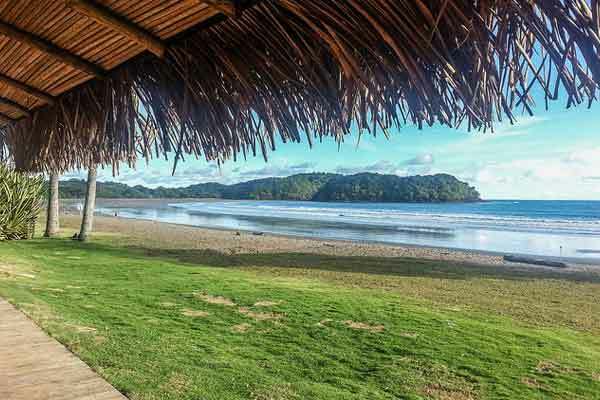 Just a five-hour drive from Panama City, it is best known for its expansive beaches just outside of town, and is regarded by many Panamanians to be among the nation’s most beautiful. 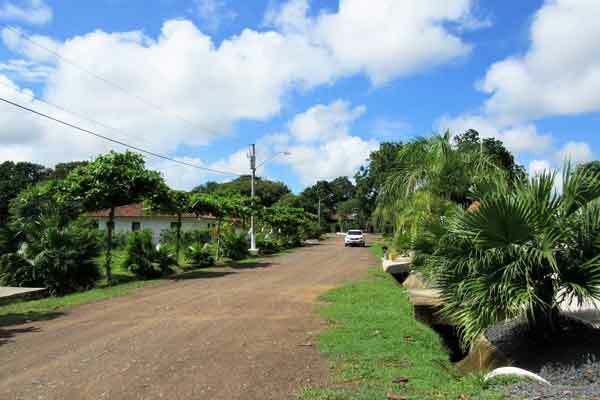 Though Pedasí is conveniently close to Las Tablas and Chitré, it has all the benefits of a rural setting—quiet neighborhoods, gorgeous scenery, and friendly people. With a full-time population of around 2,500, there are estimated to be around 250 American, Canadian, and Israeli expats, amongst other nationalities living here. People tend come for the beautiful empty beaches, and to enjoy an improved quality of life with a small-town country feel, embracing expat community, and enough conveniences and amenities to meet their daily needs. 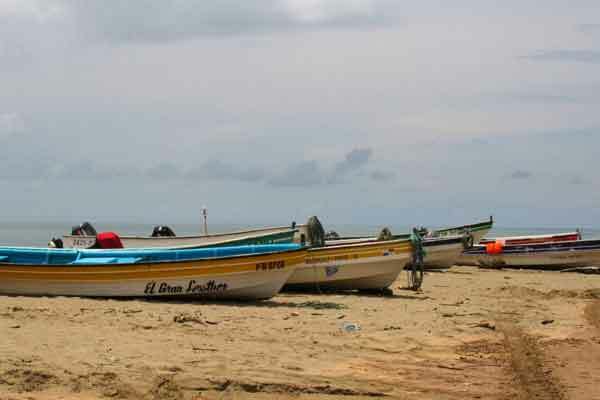 Known as the “Tuna Coast,” Pedasí is a fishing paradise. Here the coastal shelf drops off suddenly to provide deep-water fishing a short distance from shore. Yellow fin tuna, sailfish, wahoo, and dorado, are among the regular catches, many of them massive by any standards. 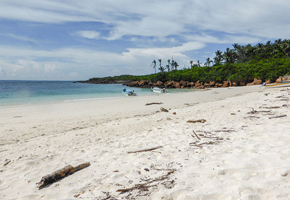 Within an hour’s drive there are 11 different beaches, all clean and easily accessible. The sands vary from deep bronze to the sparkling black of volcanic matter. New businesses are springing up to offer fishing, snorkeling, and diving trips. Sport fishing has become a pastime here, as you are almost always guaranteed a great days fishing. Other activities on the beach include, surfing and swimming. When you want a change from the beach, you can horseback ride in the quiet rolling hills near town, cross pristine streams, and never see a home or another person. Or you can ride a bike on miles of country roads with rolling hills and little traffic. Activities in the town square include markets, art shows, and concerts, with Pedasi honoring many Panamanian traditions with festivals and parades. The largest festival of all is Carnival, held just before Ash Wednesday. This entails several days of parades with colorful floats, bands playing live music, and people dancing in the street. Pedasi has several restaurants that serve tasty and inexpensive dishes. One restaurant plays live rock and roll music on Tuesday and Saturday and always draws a crowd. There are also two bakeries in town to satisfy your sweet tooth, three small grocery stores, and several affordable B&Bs. The Free Spirits is a group of expats that get together regularly and on a recent night at Smiley’s, gathered for a fun Ugly Dress contest. With a few more hotels, restaurants, developments, and shops, growth is becoming more visible and the close-knit expat community is expanding. In Pedasi, you can be as busy or as relaxed as you want to be.